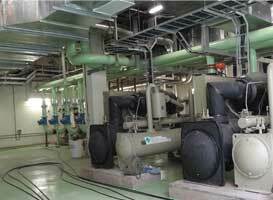 This company is one of the leading advocates of energy-efficient pumps and smart applications. And walking its talk, Grundfos India recently launched its prefabricated HVAC pumping system to minimise on-site requirements for installation and commissioning projects. Launched at the recently held Acrex India 2019, it also displayed its range of iSolution products: intelligent solutions that utilise intelligent pumps, cloud connectivity and other digital services. Ajit Singh, Vice-President Sales (West), Grundfos India, shares more on these offerings in conversation with SHRIYAL SETHUMADHAVAN. How does the newly launched system contribute to reducing project timelines? The prefabrication pumping system is completely factory-fitted and tested. Generally, pumps are supplied from different manufacturers; piping and other accessories are purchased from a third party. A contractor is signed to assemble these at site, where it is directly tested. However, our product is assembled and tested at the factory and the customer just needs to connect it at site. This helps in installation and commissioning ahead of schedule. This product also ensures that the energy required is optimised on the complete system. It reduces the overall lifecycle cost of the system compared to buying a pump and assembling system on site. What makes Grundfos’s skid mounted systems different from similar products in the market? 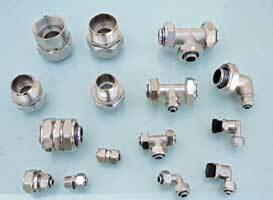 The Practice in the market is a pump, motor and other piping accessories being bought separately and assembled at site. But we are talking about an integrated solution. Generally, contractors are between End users and us. With this Complete solution from our end, we are making it easier for both the end users and the contractors. The Contractor is happy as we are able to bring down the installation and commissioning time and the cost involved and the End user is happy as we are able to reduce the life cycle cost with Complete System including its Design from Grundfos. Tell us about the impact of this product on the overall lifecycle cost. The heart of the system is the pump. And we offer the technology on both the pump hydraulic and the motor side. In the motor, we have the IE3 rating, and in some pump ranges and KW the IE5 rating as well. And the pump is predominantly the major part in terms of the lifecycle cost. The initial cost and maintenance cost is 10-15 per cent and 85 per cent is the energy cost. Our system offers a better pump hydraulic with a motor of IE3 or IE5 rating and the time consumed in designing proper piping and accessories reduces considerably. This contributes to lower energy cost, helping in the overall lifecycle cost. How about the company’s range of iSolutions? These are intelligent solutions. Here, pumps are able to react and respond. So, for most products in the iSolution bouquet, we have a pump, controller, sensor, and all of this is integrated into one unit in a single foundation. In this case, the customer is not only able to control but analyse and communicate as well. These iSolutions can be remotely monitored too. What RoI can one expect from these solutions? The RoI will comfortably be up to two years. 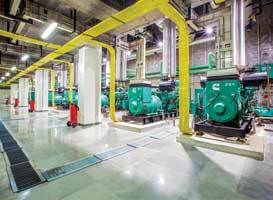 How do you view the current market growth for pumps and HVAC? The market is looking quite good. The HVAC market is expecting a growth rate of 10 per cent and is being driven predominantly with more data centres and high-rise buildings.